Sunita asked that water would be found quickly when they hired a well-digger to drill a new bore hole. From the beginning of the Adventist presence in India, schools have played an important part in the church’s growth. Besides training the children of Adventist parents, the schools welcome many children from non-Christian homes who want to receive a quality education in English. Many children are baptized each year as a result of attending Adventist schools in India. Even those who are not baptized during their school years take important lessons in faith with them. Part of our Thirteenth Sabbath Offering this quarter will help build new dormitories at two Adventist schools and classroom blocks at two others, making it possible for even more students can study there and learn of God’s great love. To Sabbath School teachers: This story is for Sabbath, Aug. 5. Click here for photos to share while telling the mission story. Sunita [pronounced: soo-NEE-tah], a farmer’s wife, would love to attend worship services more often, but she doesn’t want to anger her husband, who is not a Christian. So, she usually spends Sabbath worshipping quietly at home. However, she goes to her church whenever she has a special prayer request. 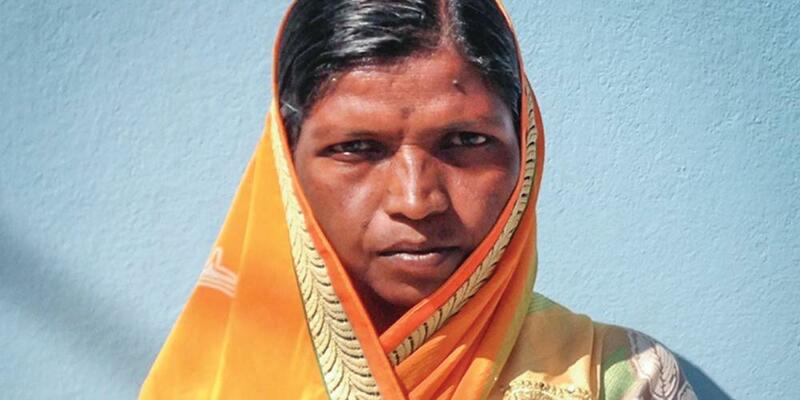 Last year Sunita went to church and prayed for a well. Sunita grew up in a Sunday-keeping home, but she stopped attending church when she married her husband. However, she continued reading her Bible. And as she studied the Bible, she felt drawn to the Adventist church. Times were tough on the family farm. There was little rain, and the two wells on the farm nearly dried up. The farm needed water desperately. But Sunita and her husband didn’t have much money. But Sunita objected to the ritual. She told him that the only solution was to pray to God. So Sunita went to church to ask God for a miracle. She asked that water would be found quickly when they hired a well-digger to drill a new bore hole. The couple could not afford to pay the well-digger to drill several holes. The pastor and the other church members joined with Sunita praying for her family’s farm. They thanked God for Sunita’s faithfulness and her love for the Sabbath, and they asked for God’s help in finding water. The next day the well-digger arrived at the farm. The pastor and the church members also came. They wanted to pray again. No one knew where to dig. Sunita had only enough money to drill down to 150 feet [45 meters]. Then the well-digger got to work. He drilled to 50 feet. Nothing. He reached 100 feet. Nothing. He hit 150 feet. He stopped drilling and went over to Sunita. The church members prayed again. Then they pleaded with the well-digger to drill just a few more feet. He reluctantly agreed. Moments later, water gushed out of the ground. To this day, the well is providing an unlimited supply of fresh water. The neighbors are still marveling at the miracle. Sunita says the answer is simple: God honors those who honor Him. God honored Sunita because of her faithfulness; the well continues to provide an unlimited supply of water. When we honor God, He is also willing to provide us with an unlimited supply of the water of life. Near Sunita’s home stands Alate Adventist school. Part of this quarter’s Thirteenth Sabbath Offering will be used to build 14 classrooms at the school so that more children can attend and learn about the God who answers prayers. Please remember Sunita and the Alate school in your prayers and as we collect the Sabbath School mission offering.